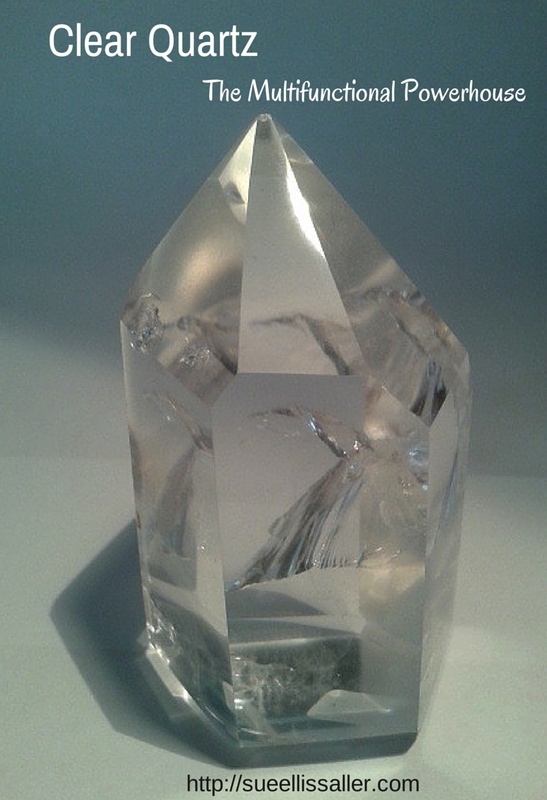 Clear Quartz – Powerful. Capable. It is a powerhouse crystal that should be at the foundation of any crystal collector’s sampling. It is multi-functional, yet totally simple. What can your clear quartz do for you? It can help you to balance your Chakras – not one, but ALL of them. It can be your master crystal – energizing the other crystals you work with. It can cleanse your tarot deck – just set a cleaned quartz crystal on your deck when it is not in use. You can use one or two to open your third eye. You can program them with any intent you’d like to manifest. You can use them to heal yourself and others. It can amplify or strengthen your thoughts, intentions, and energy. It can strengthen your ability to communicate with and understand Spirit and your Guides. Keep your clear quartz clean, clear, and helping at full speed by keeping it stored in the sunlight when not in use, clearing it with Reiki (if you are attuned), holding it in or under running water (tap is OK in a pinch, but a natural waterfall or stream would be best), put it onto a bed of amethyst overnight, burying it in a small hole in the earth overnight (don’t forget to mark it well so that you can find it again!). What is your favorite way to work with clear quartz? Do you have any great stories about using it? Feel free to comment!